Inu Yasha Visual Manga, Volume 1 covers the events of the first three exciting episodes of the TV and video series, using actual, full-color film frames to narrate the story. High-school coed Kagome lives with legends - a legendary tree, a legendary well, and a legendary fortune-teller grandfather. When her little brother goes into the shrine that houses the well, Kagome goes in to stop him from playing in dangerous places. Suddenly a demon appears and drags her into the well and out the other side into ... a legend. Rumiko Takahasi's vibrant tableaux of feudal Japan is filled with magic, demons, and a half dog-demon boy who is thrown together with the spirited, modern girl, Kagome, on an epic quest. 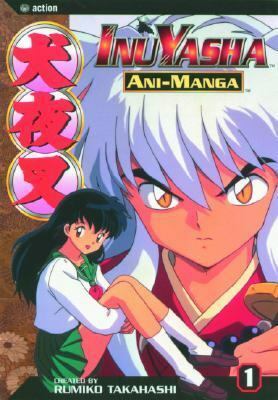 This is where legends begin.Rumiko Takahashi is the author of 'Inuyasha Ani-Manga, Vol. 1', published 2004 under ISBN 9781591162025 and ISBN 1591162025.